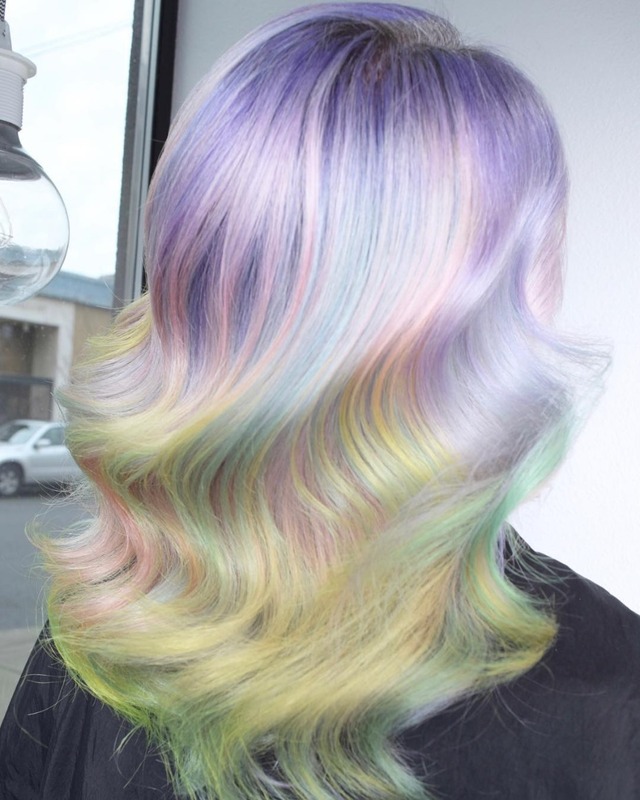 Alright, friends, why did it take us this long to stumble upon the magic that is #opalhair? Seriously, this new hair trend - which actually took off at the end of 2017 - is going to be huge for brides this year, and we can’t wait to see the hashtag get a ton of traction from pastel-loving ladies everywhere! I’ll be honest, in 2006, I was ALL about pink hair. I went ahead with pink highlights and was in LOVE with them for about 2 weeks, until the color faded into this awful orange hue that was horrific. But even though my experience wasn’t the best, I’ll always have a place in my heart for soft pink locks. Unicorn hair, in all its rainbow glory, is mesmerizing to me, but I think I speak for the majority of brides, when I say that it’s a little too intense a hair move for me. Unicorn makeup, sure, but I’ll leave the multi-colored tresses to my imagination. Anyway, let’s talk about the gorgeousness of this new opal hair, cotton candy curled confection. 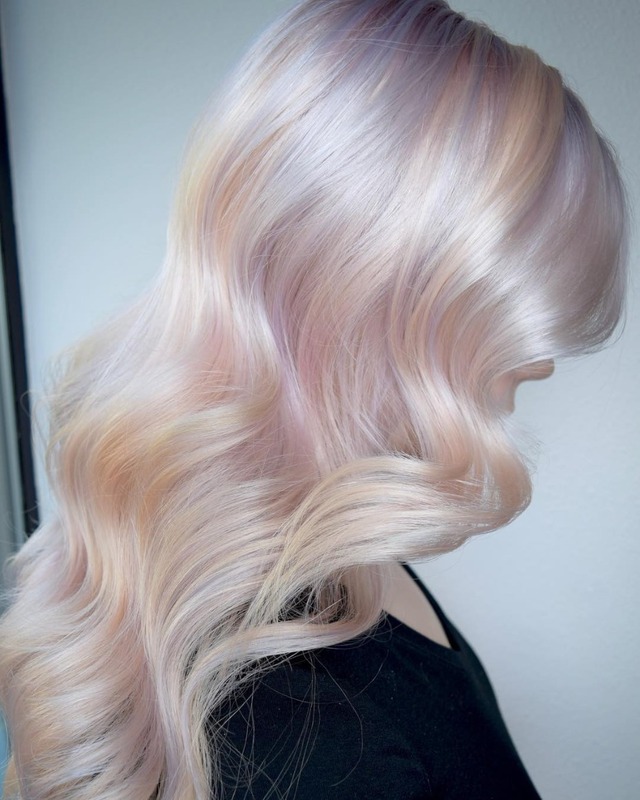 Invented by Ross Michaels Salon owner and master colorist, Mike Lowenstein, and his wife and business partner, Melody, this look is subtle but soooo soft and magical. Having perfected almost EVERY prismatic color job in their salon over the years, from sherbet pink to mint metallic, these two carefully tinkered with this lightening technique until Hollywood opal was born. And the result has our hearts. Apologies to any brides who aren’t ideal candidates for this color, you have to be a pretty light to start, so dark brunettes you’ll have to bow out. According to an interview the color-forward couple had with Allure, they use a lightener to lift you to a level 10 platinum blonde status, and then apply a heavily-diluted violet-based toner (way to use Pantone’s 2018 copacetic color swatch) and a custom-mixed variety of pastel direct dyes (all organic) to eliminate any undertones. They then let your hair dictate what comes next, balancing out all of the tones and whatnot. By the end, your mane is certifiably magical, peachy, pink and purple, but understated and ultra-chic. Perfect for a bride, right? As wedding gowns have started to trend back to more traditional tones, whites, ivories, champagnes over blushes, purples, blues and yellows, this new hair color will offer brides just the right amount of contrast and edge for their aisle style. 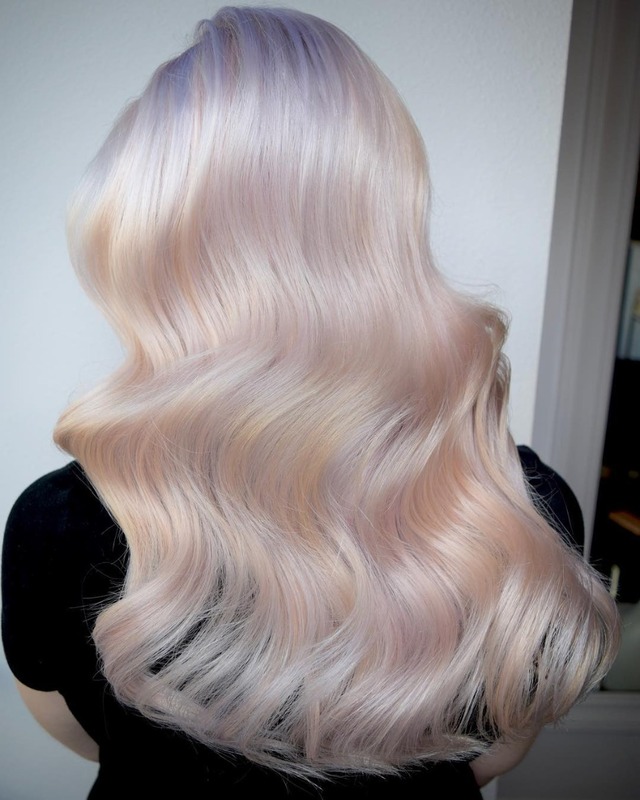 And OMG we’re just scheming all the stunning updos that can be done with these holographic hues. FOLLOW ROSS MICHAELS SALON ON IG FOR MORE HAUTE HUES MAGIC!!! !